Games are one of the most effective ways to teach complex concepts in the classroom. Children who learn using games master topics more quickly and retain more information than students taught using lectures, homework and worksheets. But as a busy teacher, you may not have the time to sort through all of the classroom games available to find the best choices. We’d like to help. Here are our suggestions for the classroom games that are must-haves for your class. 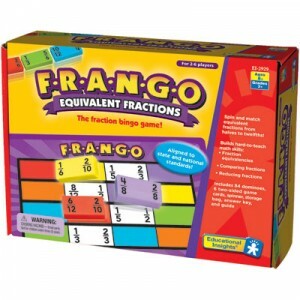 Bingo, dominoes and fractions in one! Fractions are one of hardest math concepts to learn, but this fast-paced classroom game could be the solution. Players use domino-style game pieces to match the value of the previous fraction, teaching them on-the-fly fraction skills. Because it feels more like a game than a lesson, kids will learn painlessly. 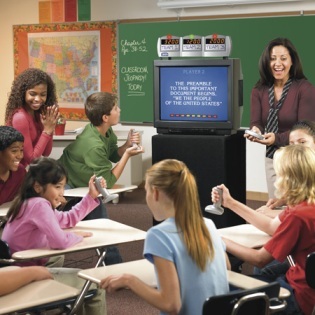 Bring the fast-paced fun of Jeopardy from Trainers Warehouse into your classroom with this fully customizable version that feels just like the real thing. 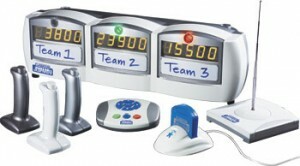 The PC and Mac-ready game features the voice of Alex Trebek for authenticity, and can be used via a projector or TV. Best of all, the simple-to-use software lets you write the categories and questions to match your lesson plans and students’ abilities. No canned questions or limited categories like in some less expensive versions. One wrong answer, and your patient will spill his guts! Future doctors need to reassemble their patient’s insides, but only a right answer earns them one of the 11 internal organs. 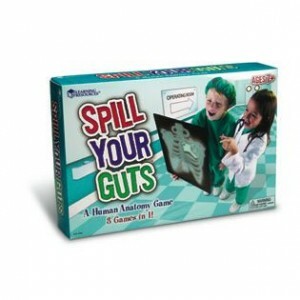 Get the answer to the human body quesitons wrong, and the unfortunate patient spills his guts, and the player needs to start over. Learning Resources has this and more great classroom games. This game is a great way to teach kids 8-11 about anatomy in a way a book can never match. EAI Education’s math game calls for planning and strategy skills as well as great math skills. Player must add, subtract, multiply or divide three number sets to stay in the game. 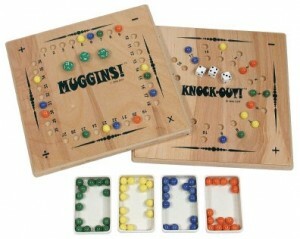 Knock Out & Muggins ™ improves math confidence and problem solving speed for students ages 6-11. Sometimes the best games are the simplest. Free Spirit Publishing’s Infinite Inventions in a Jar proves this. 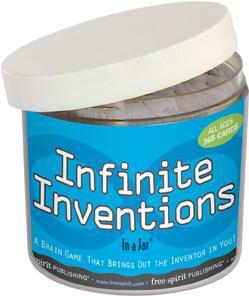 Students select three nouns from the jar, and then describe an imaginary invention using all three words. Teachers can use this as a verbal game, or expand it into papers, projects or even Rube Goldberg machines. The flexibility makes it an ideal game for students of all ages. The low cost and small profile makes this a perfect choice for small budgets and crowded classrooms.